Biloxi, Mississippi is the oldest town in the State of Mississippi. It is believed to have been settled in 1721 by the French and served as the capital of the Province of Louisiana until Bienville, a Governor of the time, moved the capital to New Orleans. The area was originally under French rule. It was later ceded to the British and then to the Spanish. In 1811 the area came under the control of the United States as part of the Mississippi Territory. Biloxi has a subtropical climate that is largely controlled by the Gulf of Mexico. Like most of Mississippi, the summers in Biloxi are hot and humid. The winters are mild and wet. Residents of Biloxi and the surrounding town can generally enjoy pleasant weather much of the year. According to the 2010 Census the population of Biloxi is approximately 44, 054 people, of which 71.4% are white and 19.2 are African American. Biloxi has a 4% Vietnamese population. Educationally, 81.9% of the people are high school graduates and 19.2 have a Bachelor's Degree or higher. Median income is $34,106 and median income for a family is $40,685. Biloxi has grown from tremendously since the arrival of gaming. The majority of the casinos on the Mississippi Gulf Coast are located in Biloxi, including the beautiful Bea Rivage and the Hard Rock Cafe. The economy is supported by gaming, seafood, and tourism. Biloxi was devastated in 2005 by Hurricane Katrina but it has rebounded and growing. 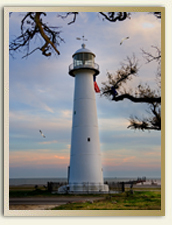 Coxwell & Associates is a law firm offering legal services to the people in Biloxi and along the Mississippi Gulf Coast. Resident can call the law firm's local number for an appointment at the coast office or request an appointment by e mail. The law firm focuses its attention in several distinct areas of the law that will benefit Biloxi residents. Coxwell & Associates handles criminal defense, serious injury cases, financial fraud, and other limited general litigation. The Gulf Coast office is not available for walk-in clients. Appointments must be requested in advance. The Office in Jackson, MS, is conveniently located off High Street Exit on Interstate 55. Anyone familiar with the Mississippi State Fair will immediately recognize the High Street Exit. During October when the State Fair is in Jackson the attorneys in the law firm can see the bright lights, hear the joyous screams of the kids, and smell the Fair food.